I’ve been doing a series of interviews with raw vegan bodybuilders to show that not only plant-based diets, but RAW plants can build a healthy and strong physique. Whether or not you choose to become completely vegan or just cut out the processed foods and eat a lot more fruits and vegetables, my goal is to help you deprogram in your brain that animal protein is the ONLY way to build healthy muscle and a strong physique. Be inspired. Start where you are. I am endeavoring to feature raw and non-raw vegan bodybuilders with great physiques to show that strong, healthy bodies can be built with hard work and intelligent, plant-based nutrition. 1) How long have you been vegan? What made you decide to go vegan? I have been raw vegan for 4 yrs. I wanted to have the best “return on investment” with regards to my protein and training. Also, since I was an animal lover, it just made sense. 2) How long have you been raw vegan? What made you decide to go raw? 4 years. I wanted to see what role pure nutrition would play in my training/physique/overall health. 3) Why do you feel raw is important over cooked? I just believe that you’d gain more nutrition being raw. 4) You include a Shakeology shake once a day into your daily meal plan. Can you tell us a little bit about why you do this and why you feel it’s important to your success? 4) What does a typical day’s food intake look like for you? 50-100 ounces of 9.5 ph water upon arising. Fruit such as dates or figs. One Vegan Shakeology either chocolate or tropical strawberry with frozen banana. One large salad with various greens ( kale, romaine, chard) cucumbers, tomato, chia seeds. Occasionally a green superfood juice. Kambucha a few times per week. That’s just a basic idea of a days food. I learned to listen to my body. Some days it can be more fruit or more salads . 5) What’s in your grass smoothie? How many meals a day do you eat? Do you eat nuts? Sprouted legumes? I use either a combination of either Amazing Grass and/or Garden of Life Raw Meal. I will add frozen fruit. When I have a green juice or green smoothie, I try to make certain it contains kale, celery, cucumber, parsley or cilantro. I eat all day long. I don’t have a set number of meals. I basically “graze”. I have a limited amount of nuts, maybe two handfuls per week. I do have sprouted pumpkin and sunflower seeds on my salads. When I feel that I my body is craving sprouted legumes, I will have them. 7) How important to do you feel protein is to your success and what are your main sources of protein? Protein is important but not in the amounts that have been previously believed. My daily “raw” protein intake is between 70-100grams. I believe because the protein is in the most pure form, quantities need not be as high & this your system is not over working. 8) Do you eat fruit? Why or why not? How much and when? My body will tell me when I have had enough. I eat some fruit Pre & post training, but I eat fruit whenever as well. 9) You are a Beachbody coach and do P90X. Can you tell me a little about your work-out schedule and how you use the videos to schedule your work-outs? P90X is an amazing 90 day program. My workout schedule for the past 1.5 yrs has been training late in the evening. I would simply look the particular program calendar and place that dvd into my dvd player, or laptop if traveling, then perform the workout for that day. Keep track of what weights or resistance band tension I used, if required for that workout. That’s pretty much it. Very easy, intense and effective. All the programs from Beachbody are designed to take the guess work out of your training. Being a Beachbody coach is a vital part of who I am. Simply being there for someone’s accountability is important to me. The workouts I do are intense. They range from P90X, to P90X-2, to The Asylum, to Les Mills Pump. Each program has a science behind it, that’s what produces the results. 10) What success stories with the clients you coach most inspired you that you’d like to share? A friend and coach on my team has lost 167lbs over the last year. He has been consistent with following a Beachbody program , healthy food choices and one Shakeology each day. 11) What reaction do you get from people when they find out you are raw vegan? How do your bodybuilding peers react to your dietary leanings? Has anyone of them been inspired to experiment with a plant-based diet for their bodybuilding nutrition plans? I have heard remarks from… That’s not possible all the way to “he has to be on “steroids”. I just laugh. Those that know what a body on “steroids” looks like, would know that I am not. Yes, many people have been inspired to try a % of vegan food and raw food as well. I am happy to open the minds of anyone willing to try some thing new. It is the combination of a solid training program and proper nutrition that yields results. 12) How much cardio do you do and how important do you feel it is to fat loss? The cardio comes from the actual DVD programs. That’s why these programs are so effective. Your heart rate/interval training is incorporated. I cannot tell you how high my heart rate increases and how much sweat is produced with these workouts. 13) Have you ever had a weight/health challenge and if so, how did eating plant-based help with it? 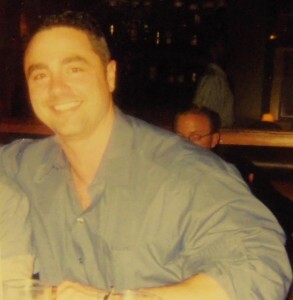 Yes, I weighed 243lbs and 30% body fat. 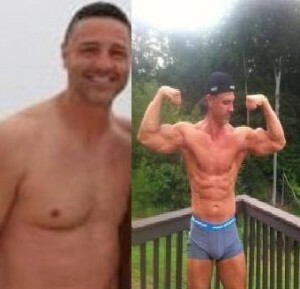 Because I did P90X and started a plant based nutrition life style, It saved my life. I am now about 205-210 and I’d say 6-8% body fat. Plant based whole foods and raw foods is a major player in ones health. 14) Were you bodybuilding before you went plant-based? If so, did you notice a decrease in muscle when you went plant-based? Yes, I tried but the change in my physique was so dramatic from better nutrition. I increased my lean muscle since being a raw vegan and my training had been field because of the higher assimilation on pure nutrients. 15) Do you grow any of your own food? I do not currently, but I would like to one day. 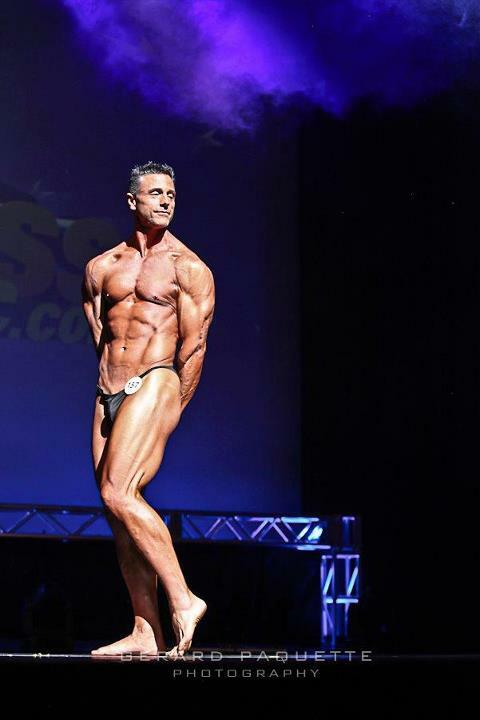 16) What do you see for the future of the sport of bodybuilding with regards to a plant-based diet? If whole food plant based body builders would not have to impact their bodies so much with chemicals, then I believe the sport has a wider market to attract. The image of someone being in great “looking” shape, but really unhealthy is not the future. A lean, healthy fit inside and outside physique is what the sport should be striving toward. A PBWFD is the future for those that see this as true health. Plant Based Whole Food Diet. 18) How many calories a day do you consume? 19) Anything else you’d like to add/share that you feel is important that we haven’t covered here? Any % of plant based food is important. Taking the proper steps to gain better health is what this all should be about. 20) How can people contact you for more information?